What's next for Democrats after 'dumpster fire' day? At the end of filings Tuesday, Minnesota Democrats were facing a six-way primary for attorney general in August, a sudden eight-way intraparty battle for U.S. Rep. Keith Ellison's seat, and an unexpected, three-way primary for the open governor's seat. It was all part of what was described by some Democrats and Republicans as a "dumpster fire" day for Minnesota's DFL Party. And it had plenty of people wondering: What does this mean for Minnesota Democrats in such a pivotal election year? 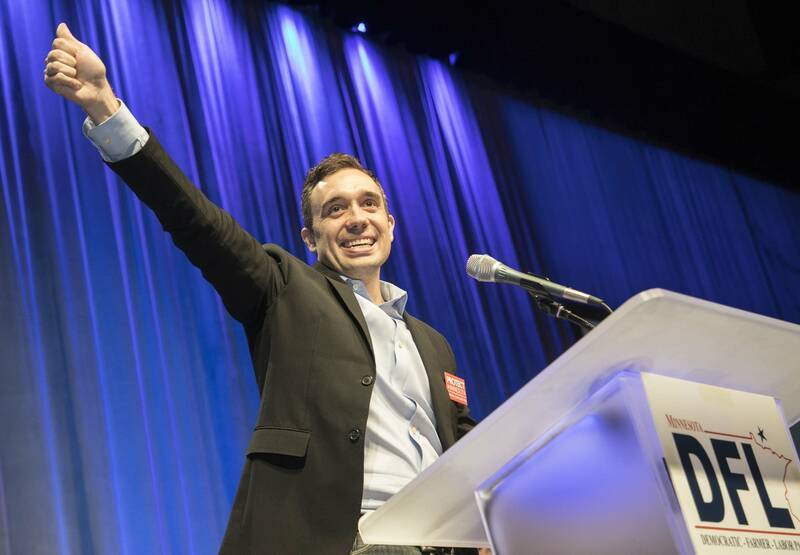 "It is truly remarkable that we are seeing divisions of the DFL come out during a year where we should be united against what's going on in Washington and getting ourselves organized," Darin Broton, a longtime DFL analyst, said. 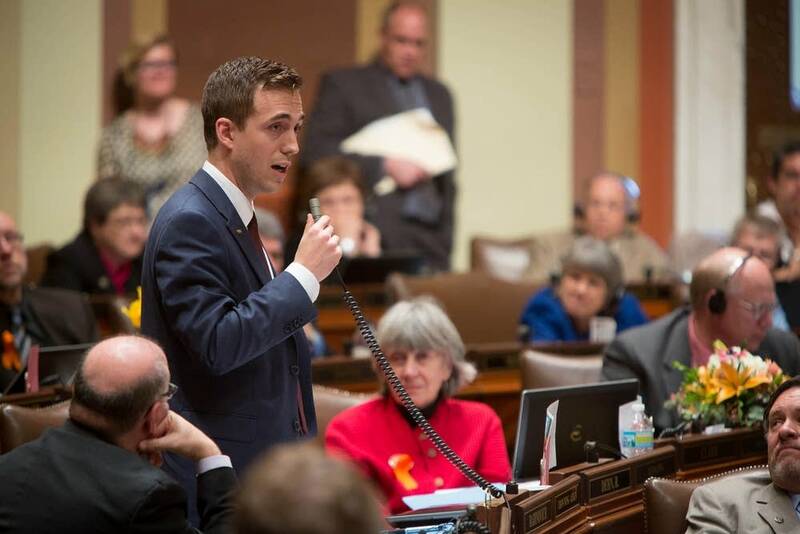 "The DFL Hunger Games are well underway." At the heart of the divisions is what kind of party the DFL will be going forward. Do Democrats try to be a more moderate, centrist party and win back rural and independent voters they lost in the last election cycle, or do they embrace new voters and activists into the party and double-down on a progressive platform to excite them? It's a huge year for both parties, but Democrats across the country are particularly optimistic. Republican President Donald Trump's approval ratings are low, and the party opposing the president usually does well in midterm elections. 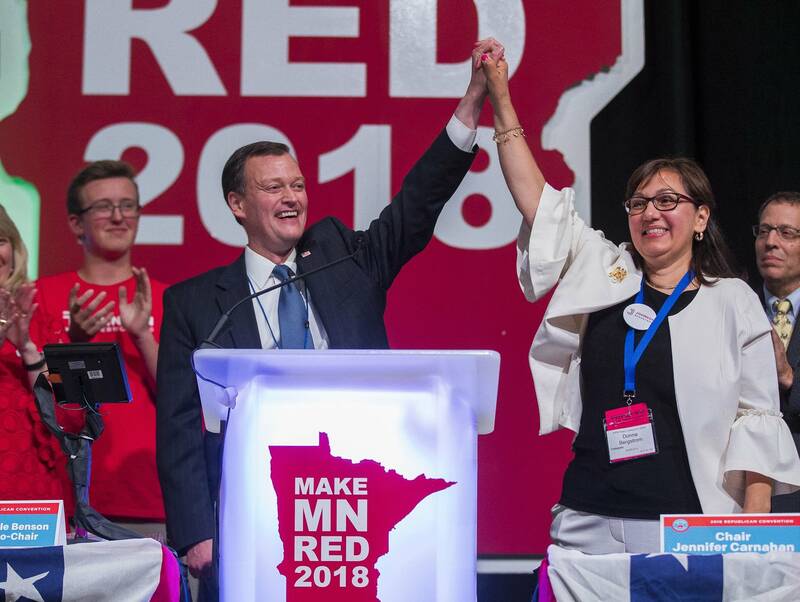 And Minnesota will be the "epicenter" of it all, said DFL Party Chairman Ken Martin, with an open governor's race, three other constitutional offices, two U.S. Senate seats, up to five competitive congressional seats and the entire state House on the ballot. "There are lots of things we can't control, including who ends up filing, who doesn't file, who's in the race, who isn't in the race, who gets endorsed, who doesn't get endorsed," Martin said Tuesday. "For the DFL Party, we are focused on one thing, and that's November 6th and making sure we win up and down the ticket. The stakes of this election are extremely high." Martin was at the Minnesota Secretary of State's office Tuesday for a filing event for all the party's endorsed candidates, including Rep. Erin Murphy, who is running for governor, attorney general candidate Matt Pelikan and auditor candidate Julie Blaha. All three are now facing competitive primaries on August 14. Some have blamed the insider-nature of the DFL endorsement process for the primary races that have followed. They argue that the roughly 1,400 activists gathered on a late spring weekend to cast an endorsement vote have an outsized say in the election that results in candidates who are too far to the left to succeed across the state. 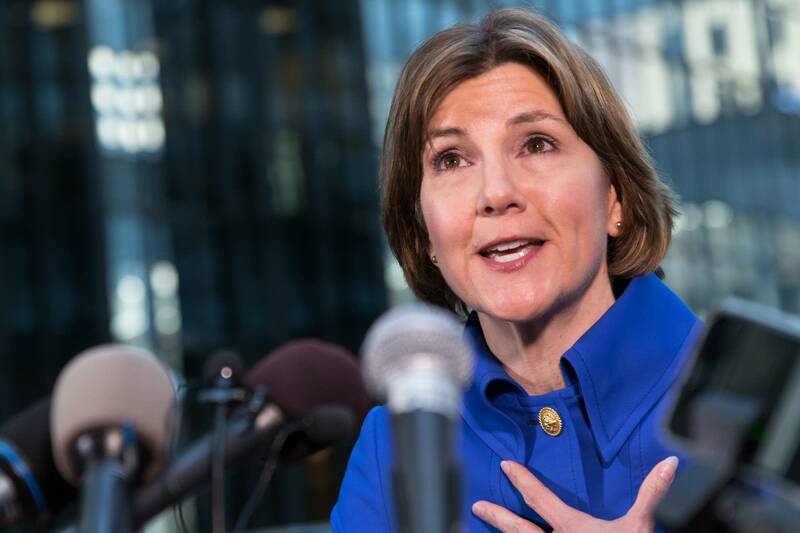 Three-term Attorney General Lori Swanson went into the party's convention Saturday seeking the endorsement for her job, but newcomer Pelikan ran to her left and was a close second to her on the first ballot. Swanson unexpectedly dropped out of that endorsing contest and instead moved on to run in the governor's primary, setting off the mass of filings Tuesday. Primaries involve more voters, and not everyone in the DFL Party thinks they're a bad thing. 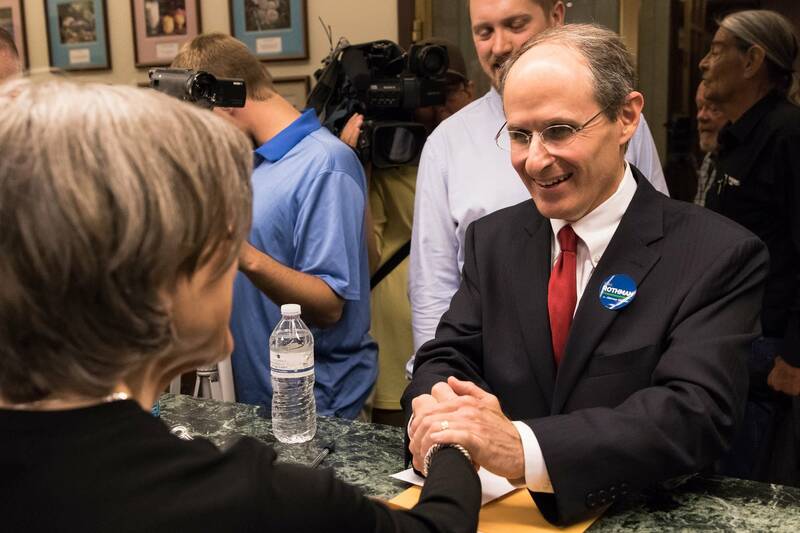 Joe Radinovich, who filed for office Tuesday to run in a five-way DFL primary for the 8th Congressional District, said recent competitive DFL primaries have produced good results, including the 2010 three-way gubernatorial race that led to two terms in office for DFL Gov. Mark Dayton, who is stepping down this year. "At the end of the day, on August 15, if we have high name recognition and spent time talking about the values that matter to people in the 8th District, then we are going to be in a good position running in November," Radinovich said. "Not against anyone, but for our values." Still, so many top-tier DFL candidates competing against each other will put a strain on financial and organizational resources, with each candidate needing funds from donors to succeed in the primary even before a winner moves on to November. The state party can only spend money for endorsed candidates until after the primary. Broton worries that the DFL candidates it will hurt most are those in races not facing primaries but are top-tier targets in November. 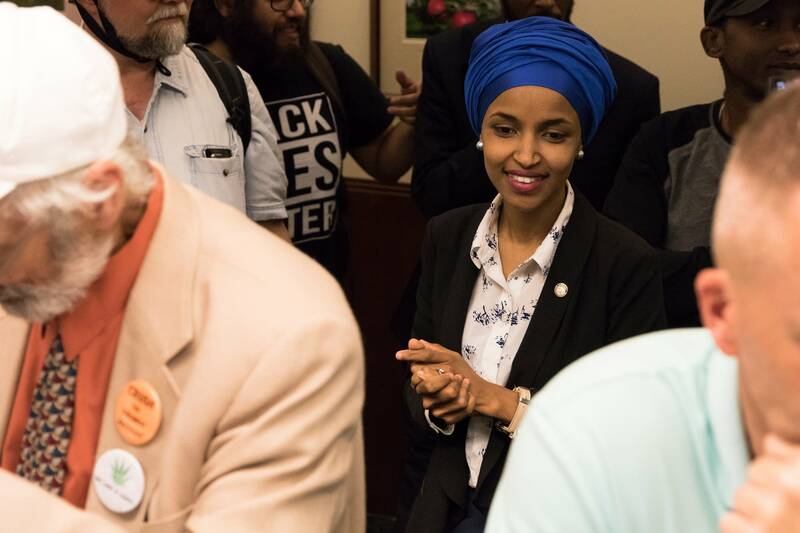 That includes the 1st congressional district, which is open after U.S. Rep. Tim Walz decided to seek the governor's office, and the 2nd and 3rd Congressional Districts in the suburbs. "My fear is that this will actually hurt [2nd District candidate] Angie Craig and [1st District candidate] Dan Feehan," he said. "These other races that are really competitive and they need the resources in the fall." Amid the concern, Democrats will get support from third-party groups not affiliated with any specific candidate. Alliance for a Better Minnesota (ABM), a major DFL-aligned independent spending group, is staying out of the intraparty battles and training its fire through ads and social media posts on former Gov. Tim Pawlenty and GOP-endorsed candidate Jeff Johnson, both running for governor. "We try and focus on what the choice is going to be in the fall," said Joe Davis, executive director of ABM. 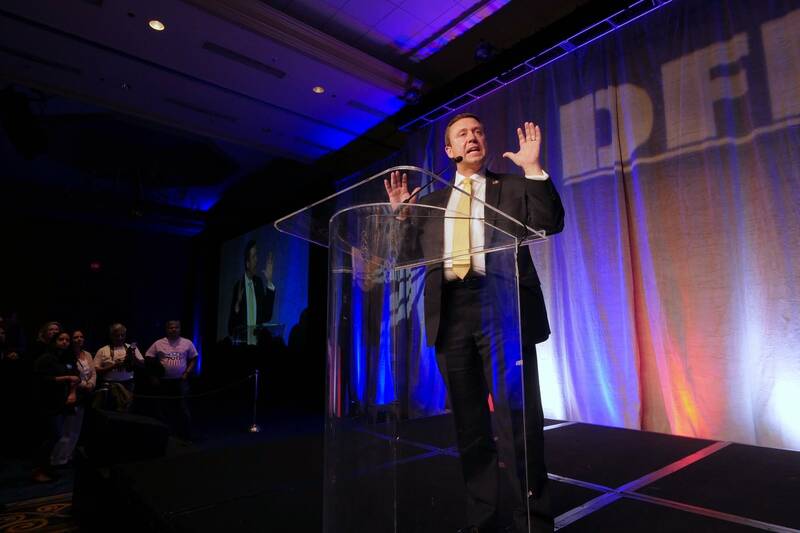 "Tim Pawlenty's record isn't going to change and neither is Jeff Johnson's, for that matter. We want to keep the focus on holding them accountable." "This is the old guard making an end run around the future of the party," said McGrath, whose organization endorsed Murphy for governor. "For the DFL party 20 or 30 years ago, the political landscape in our state was very different. The candidates that are rising to the top right now are the ones who really understand how our state has changed demographically, racially, and they are carving out a vision for what that will look like." And plenty of Democrats think the glut of candidates filing for office is simply a direct result of enthusiasm across the party, voters and candidates alike. "I would much rather go into this general election with an incredible amount of energy, more than anything else," McGrath said. "The byproduct of that is, it's going to be messy."